From the prose of ‘Titan.’ Excerpt, German Lyric Poetry: Songs and Ballads. Translated by Charles T. Brooks. 1863. Too pale and small beneath the veil of space. Veilest thyself around! Where art thou now. Down on the dreary winter of the world. How dumb and endless is it down below! His Father, the great Heaven! — Mighty Son! Majestic Sun, so young and rosy red? I must go down to the dark realms of ice. A long, bright day in thy eternity? We have spoken warmly of Jean Paul’s Imagination, of his high devout feeling, which is now a still more grateful part of our task to exhibit. But in this also our readers must content themselves with some imperfect glimpses. What religious opinions and aspirations he specially entertained, how that noblest portion of man’s interest represented itself in such a mind, were long to describe, did we even know it with certainty. He hints somewhere that ‘the soul, which by nature looks Heavenward, is without a Temple in this age ; ‘ in which little sentence, the careful reader will decipher much. ‘But there will come another era,’ says Paul, ‘when it shall be light, and man will awaken from his lofty dreams, and find — his dreams still there, and that nothing is gone save his sleep,’The stones and rocks, which two veiled Figures (Necessity and Vice), like Deucalion and Pyrrha, are casting behind them, at Goodness, will themselves become men. ‘And on the Western-gate of this century stands written: Here is the way to Virtue and Wisdom; as on the Western-gate at Cherson stands the proud Inscription: Here is the way to Byzance. Connected with this, there is one other piece, which also,for its singular poetic qualities, we shall translate here. 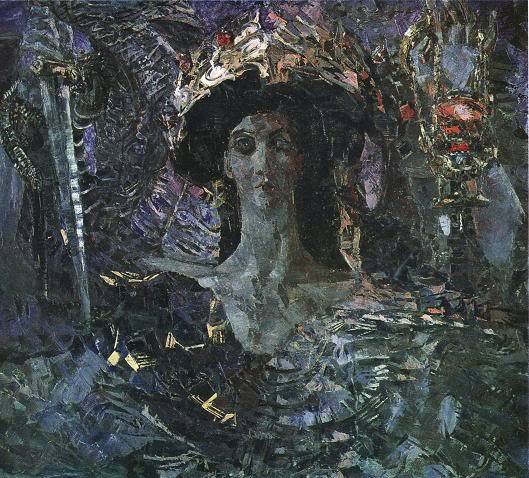 The reader has heard much of Richter’s Dreams, with what strange prophetic power he rules over that chaos of spiritual Nature, bodying forth a whole world of Darkness, broken by pallid gleams or wild sparkles of light, and peopled with huge, shadowy, bewildered shapes, full of grandeur and meaning. ‘If ever my heart,’ says he, ‘were to grow so wretched and so dead that all feelings ‘in it which announce the being of a God were extinct’there, I would terrify myself with this sketch of mine ; it’ would heal me, and give me my feelings back.’ We translate from Siebenkas, where it forms the first Chapter, or Blumenstuck (Flower-Piece). ‘The purpose of this Fiction is the excuse of its boldness. Men deny the Divine Existence with as little feeling as the most assert it. Even in our true systems we go on collecting- mere words, playmarks and medals, as misers do coins; and not till late do we transform the words into feelings, the coins into enjoyments, A man may, for twenty years, believe the Immortality of the Soul; — in the one-and-twentieth, in some great moment, he for the first time discovers with amazement the rich meaning of this belief, the warmth of this Naphtha-well, ‘Of such sort, too, was my error, at the poisonous stifling vapour which floats out round the heart of him who, for the first time, enters the school of Atheism. I could with less pain deny Immortality than Deity : there I should lose but a world covered with mists, here I should lose the present world, namely, the Sun thereof: the whole spiritual Universe is dashed asunder by the hand of Atheism into numberless quicksilver-points of Me’s, which glitter, run, waver, fly together or asunder, without unity or continuance. ‘I merely remark farther, that with the belief of Atheism, the belief of Immortality is quite compatible; for the same Necessity, which in this Life threw my light dewdrop of a Me into a flower-bell and — under a Sun, can repeat that process in a second life; nay,more easily embody me the second time than the first. ‘If we hear, in childhood, that the Dead, about midnight, when our sleep reaches near the soul, and darkens even our dreams, awake out of theirs, and in the church mimic the worship of the living, we shudder at Death by reason of the dead, and in the night-solitude turn away our eyes from the long silent windows of the church and fear to proceed from the moon. “Childhood, and rather its terrors than its raptures, take wings and radiance again in dreams, and sport like fire-flies in the little knight of the soul. Crush not these flickering sparks! Leave us even our dark painful dreams as higher half-shadows of reality! And wherewith will you replace to us those dreams, which bear us away from under the tumult of the stream of life yet ran silent in its little plain, and flowed towards it abysses, a mirror of the Heaven? ‘I was lying once, on a summer evening, in the sunshine; and I fell asleep. Methought I awoke in the Churchyard. The downrolling wheels of the steeple-clock which was striking eleven, had awakened me. In the emptied night-heaven I looked for the Sun;for I thought an eclipse was veiling him with the Moon. All the Graves were open and the iron doors of the charnel-house were swinging to and fro by invisible hands. On the walls flitted shadows, which proceeded from no one, and other shadows stretched upwards in the pale air. In the open coffins none now lay sleeping, but the children. Over the whole heaven hung, in large folds, a gray sultry mist; which a giant shadow, like vapour, was drawing down,nearer, closer and hotter. Above me I heard the distant fall of avalanches; under me the first step of a boundless earthquake. The Church wavered up and down with two interminable Dissonances, which strutted with each other in it; endeavouring in vain to mingle in unison. At times, a gray glimmer hovered along the windows, and under it the lead and iron fell down molten. The net of the mist,and the tottering Earth brought me into that hideous Temple; at the door of which, in two poison-bushes, two glittering Basilisks lay brooding. I passed through unknown Shadows, on whom ancient centuries were impressed. — All the Shadows were standing round the empty Altar; and in all, not the heart, but the breast quivered and pulsed. One dead man only, who had just been buried there, still lay on his coffin without quivering breast; and on his smiling countenance stood a happy dream. But at the entrance of one Living, he awoke, and smiled no longer ; he lifted his heavy eyelids, but within was no eye; and in his beating breast there lay, instead of a heart, a wound. He held up his hands, and folded them to pray; but the arms lengthened out and dissolved ; and the hands, still folded together, fell away. “Now sank from aloft a noble, high Form, with a look of uneffaceable sorrow, down to the Altar, and all the Dead cried out, ” Christ, is there no God ?” He answered, “There is none!” The whole Shadow of each then shuddered, not the breast alone; and one after the other, all, in this shuddering, shook into pieces. “Christ continued: “I went through the Worlds, I mounted into the Suns, and flew with the Galaxies through the wastes of Heaven ;but there is no God! I descended as far as Being casts its shadow, and looked down into the Abyss and cried, Father, where art thou? But I heard only the everlasting storm which no one guides, and this gleaming Rainbow of Creation hung without a Sun that made it,over the Abyss, and trickled down. ‘Then shrieked this Dissonances still louder, — the quivering walls of the Temple parted asunder; and the Temple and the Children sank down, and the whole Earth and the Sun sank after it, and the whole Universe sank with its immensity before us; and above, on the summit of immeasurable Nature, stood Christ, and gazed down into the Universe chequered with its thousand Suns, as into the Mine bored out of the Eternal Night, in which the Suns run like mine-lamps, and the Galaxies like silver veins. ‘And as he saw the grinding press of Worlds, the torch-dance of celestial wildfires, and the coral-banks of beating hearts ; and as he saw how world after world shook off its glimmering souls upon the Sea of Death, as a water-bubble scatters swimming lights on the waves, then majestic as the Highest of the Finite, he raised his eyes towards the Nothingness, and towards the void Immensity, and said: ” Dead, dumb Nothingness! Cold, everlasting Necessity! Frantic Chance! Know ye what this is that lies beneath you? When will ye crush the Universe in pieces, and me? Chance, knowest thou what thou doest, when with thy hurricanes thou walkest through that snow powder of Stars, and extinguishest burn after Sun, and that sparkling dew of heavenly lights goes out as thou passest over it? How is each so solitary in this wide grave of the All? I am alone with myself! O Father, O Father! Where is thy infinite bosom, that I might rest on it? Ah, if each soul is its own father and creator, why cannot it be its own destroyer, too? Ah, ye too happy inhabitants of Earth, ye still believe in Him. Perhaps even now your Sun is going down, and ye kneel amid blossoms, and brightness, and tears, and lift trustful hands, and cry with joy-streaming eyes, to the opened Heaven; “Me too thou knowest. Omnipotent, and all my wounds; and at death thou receivest me, and closest them all! ‘And as I fell down, and looked into the sparkling Universe, I saw the upborne Rings of the Giant-Serpent, the Serpent of Eternity, which had coiled itself round the ALL of Worlds,— and the Rings sank down, and encircled the ALL doubly ; and then it wound itself, innumerable ways, round Nature, and swept the Worlds from their places, and crashing, squeezed the Temple of Immensity together, into the Church of a Burying-ground, —and all grew strait, dark, fearful, — and an immeasurably extended Hammer was to strike the last hour of Time, and shiver the Universe asunder . . . WHEN I AWOKE. We honour Richter, such as he was… and discern under this wondrous guise the spirit of a true Poet and Philosopher. A Poet, and among the highest of his time, we must reckon him, though he wrote no verses; a Philosopher, though he promulgated no systems: for, on the whole,that ‘ Divine Idea of the World ‘ stood in clear ethereal light before his mind; he recognised the Invisible, even under the mean forms of these days, and with a high, strong, not uninspired heart, strove to represent it in the Visible, and publish tidings of it to his fellow-men. Excerpt, “Josephine, or, The Begger of the Pont Des Arts.” Translated from the German of Wilhelm Hauff. 1844. 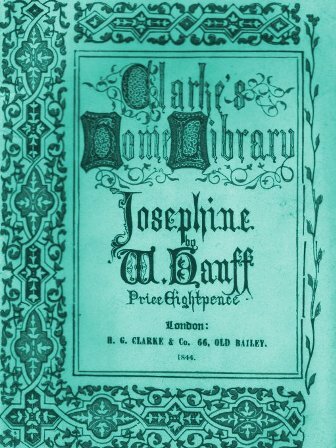 It contributed not a little to Josephine’s interest in the eyes of her friend, that she had selected as her favourite poet the very same author most esteemed by himself. Indeed, in the perusal of Jean Paul’s admirable poems, she often had occasion for his aid in explaining one and another obscure figure; but her apprehension was very ready; her natural taste and her delicate sensibility, which so entirely prevailed in this poet, enabled her to arrive at much by inference, before its certainty was established to her by her friend. “There is,” said she one day, “a world of thought in this Hesperus! Every human feeling, whether in joy or in sorrow, in love or in aversion, is there dissected before us; he knows how to describe to us, while we inhale the sweet fragrance of the flower, its innermost properties, its delicate leaves, its admirably fine stamina, without destroying the flower and plucking off its leaves. “You have, in these words, as it seems to me,” replied Froben, “actually described the true secret of this author. To me, I freely confide, there is nothing so absolutely repulsive and disgusting as the manifest effort of an author to give his reader a minute and exact apprehension of what his hero or his heroine, or a third or fourth person, thought or felt in this or that case. “It is singular,” remarked Josephine, “that the thread of this romance, or what is otherwise called its skeleton, would not, in the hands of another author, be of the least interest to us, and perhaps might even appear quaint and tedious. Conceive to yourself these ordinary things … But what life, what a world of interest comes from this tale, when invested with the flowery mantle of that writer! “Yes,” replied Froben, “our author is like a great musician. He has taken an old, trite, long-heard theme; but while he retains the peculiar turn of the old song, he still carries out the thoughts in a manner that so agreeably surprises us, and exhibits such an aspect of novelty, that we forget the theme, and listen only to the variations into which he passes – in which he, like an angel, goes up and down the heavenly scale of tones, and shows us, in our delighted vision, the open glory of the world above; while, like Jacob, we really repose on a hard and cheerless bed. “Not either – I still live, and yet I love,” said Froben, looking vacantly before him. “You love!” exclaimed Josephine, and with such a peculiar tone that Froben was started by it, and suddenly looked up; she cast down her eyes as his look met hers; a deep red came over her face, and immediately passed into a deadly paleness. The more rarely Froben had expressed his feelings on this subject, the more oppressively at this moment did all the painful recollections of sorrowful hours crowd upon his mind, and overwhelm him with a grief too great for him to bear. He instantly arose, and went from the arbour into the castle. But Josephine’s eyes followed him, with a look full of infinite love; tear upon tear trickled from her eyelashes, and it was only when they fell like a fountain upon her fair hand, that they awoke Josephine from her dreams. Ashamed, as if she had detected herself in a secret crime, she deeply blushed, and covered her eyes with her handkerchief. Oh Eugenius and Rosamond — you, whom I may no longer designate by your right names — I was about to tell your short history as my friends and I walked into an English garden. We went by a new-painted coffin, on the foot-board of which was written, “I pass away.” Above the verdant garden rose a white obelisk, marking where two sister-princesses had once embraced. “Here we found each other again” the inscription read. The point of the obelisk glittered in the full moon, and here I told my simple tale. But do thou, gentle reader, draw which is as much as coffin and obelisk draw — I say, the inscription on the coffin into the ashes of oblivion — and write the letters of the obelisk with pure human heart’s blood in thy inmost self. — Your own hearts which rejoice too much, and enjoy too little, have too much hope, and too little power of endurance. Rosamond was a bright pearl, pierced by anguish. parted from all that belonged to her. She only quivered in her sorrows like a detached twig of the sensitive plant at the approach of night. Her life was a quiet warm rain and that of her husband was a bright lost sunshine. In his presence she averted her eyes. When they had just been fixed on her sick child, only two years old; and was in this life a wavering thin-winged butterfly, beneath a pelting shower. The imagination of Eugenius, with its too large wings, shattered his slight, delicate frame; the lily bell of his tender body could not contain his mighty soul; the place whence sighs originate, his breast, was destroyed like his happiness. He had nothing left in the world but his affectionate heart, and for that heart there were but two human beings. These persons wished, in the spring-time, to quit the whirlpool of mankind, which beat so hardly and so coldly against their hearts. They had a quiet cottage prepared for them on one of the high Alps opposite to the silver chain of the Staiibbach. On the first fine spring morning they went the long road to the high mountain. There is a holiness which sorrow alone can give in its purity; the stream of life becomes white as snow when it is dashed against rocks. There is an elevation where little thoughts no more intrude between sublime ones, as when upon a mountain one sees the summits close to each other without their connection in the depth below. Thou hadst that holiness, Rosamond, and thou that elevation, Eugenius. And the child snatched at the cloud, and wished to play with its little misty brother. One single invisible angel of the future accompanied them through life and up this mountain. They were so good and like each other that one angel was all they needed. As they ascended the angel opened the book of fate, one leaf of which contained the sketch of a three-fold life. Every line was a day and when the angel had read the line that belonged to this day, he wept and closed the book for ever. The travelers, in their delicate condition, required nearly a day to arrive at the desired spot. The earth crept back into the valleys, the sky rested itself on the mountains. The waving, glimmering sun seemed to our Eugenius a mirror of the moon. He spoke to his beloved, when the icy summits had already cast their flames upon the earth. “It will be still better,” replied Rosamond, “for in the moon, as thou hast taught me, dwell the little children of this earth. Their parents remain with them till they themselves become as mild and tranquil as children.” Then they proceed further. “Ay, from heaven to heaven from world to world!” said Eugenius, ecstatically. They ascended as the sun declined. When they climbed more slowly, the mountain summits, like rising, loosened branches, concealed them from the luminary. They hastened on into the evening glimmer, which was already advancing, but when they had reached the mountain where their cottage stood, the eternal mountains stepped before the sun. The earth then veiled her graces and her cities, adoring heaven, before it looked upon her with all its star-eyes; while the waterfalls laid aside their rainbows. The earth spread higher for heaven, which was bending over her with out-stretched cloud arms, a gauze of golden exhalations, and hung it from one mountain to another. The icebergs were set on fire, so that they glared even to midnight; while opposite to them on the grave of the sun was raised a towering funeral pile of clouds, forming the evening glow and the evening ashes. But through the glimmering veil kind heaven let its evening tears fall deep into the earth, even upon the humblest grass and the smallest flower. Oh, Eugenius, how great then did thy soul become! The life of earth lay at a distance and far below thee, free from all the distortions which we see in it, because we stand too near, as the decorations of shorter scenes change from landscapes to misshapen strokes when we look at them closely. The angel of futurity, whom I will call the angel of rest, wept as he smiled, and his wings swept away the sighs of the parents with an evening breeze, that they might not sadden each other. The transparent evening flowed round the red mountain like a bright lake, and washed it with the circles of cool evening waves. The more the evening and earth grew, still the more did the two souls feel that they were in the right place. They had no tears too many, none too few, and their bliss needed no other increase than its repetition. Eugenius sent the first harmonious tones floating like swans through the pure Alpine sky. The weary child, twined in a flowery wreath, leaned against a sun-dial, and played with the flowers which it drew around it, to entwine them in its circle. The mother at last awoke from her harmonious transport; her eye fell on the large eyes of her child, which opened wide upon her. Singing and smiling, and, with overflowing motherly love, she stepped to the little angel, who was cold and dead. For his life, which had descended from heaven, had, like other tones, been dissipated in the atmosphere of earth. Death had breathed upon the butterfly, and it had ascended from the rushing streams of air to the ever-refining ether; from the flowers of earth to the flowers of paradise. Oh, ever flutter away, ye blessed children! The angel of rest wakes you in the morning-hour of life with cradle songs. Two arms bear you and your little coffin, and your body, with the two red cheeks; the forehead free from the print of grief, and the white hands, glide down by a chain of flowers to the second cradle — you have only exchanged one paradise for another. But oh, we are crushed by the storm winds of life; our heart is weary, our face is deeply marked with earthly care, and our soul stiffened, still clings to the earthy clod. Turn away thine eye from Rosamond’s piercing shriek, fixed glance, and petrifying features, if thou art a mother, and hast already felt this pain! Look not upon the mother, who, with senseless hand, squeezes against her the love which she now cannot stifle; but look at the father, who, with his breast, silently covers his struggling heart, although black grief has twined around it with an adder’s folds, and poisoned it with an adder’s teeth. Ah, when he at last had conquered the pain, his heart was envenomed and riven. A man bears the pain of the wound, but sinks under the scar: a woman seldom combats her grief, but yet she survives it. “Remain here,” he said, with a suppressed voice, “I will lay him to rest before the moon rises.” She said nothing, kissed the child in silence, broke up its wreath of flowers, sunk down upon the sun-dial, and laid her cold face upon her arm, that she might not see him carried away. He laid the child beneath flowers which supplied the place of all that we are generally laid upon for the last time; but his heart was breaking when he covered the pale lips, the open eyes, with flowers and earth, and streams of tears fell first into the grave. When with the verdant coating of the clods he had built a little mound, he felt that he was weary of his journey and of life; that his weakly chest could not endure the thin mountain air, and that the ice of death had settled in his heart. He cast a longing glance at the bereaved mother, who had long stood trembling behind him, and they fell silent into each other’s arms, and their eyes could scarcely weep more. At last, from behind a glacier that was glimmering out, the glorious moon flowed forth in loveliness on the two silent unhappy ones, and showed them its white peaceful meadows, and the gentle light with which it softens man. “Mother, look up,” said Eugenius; “yonder is thy son! See there, the white flowery groves, in which our child will play, are passing over the moon. “Now a burning fire filled his inmost self with consuming power, the moon made his eye blind to all that was not light; sublime forms rolled before him in the light stream, and he heard in his soul, new thoughts which are not indigenous in man, and are too great for memory; just as in a dream small melodies may come to the man who can make none when awake. Death and pleasure press upon his heavy tongue. His heart burst, his spirit fled; but Rosamond did not remain with him, for fate snatched her from his dying hand, and cast her back upon earth, living. She felt if his hand had the coldness of death, and placed it softly against her heart, sunk slowly upon her failing knees. She raised her face, which had become inexpressibly serene, towards the starry power. Her eyes, from their tearless sockets, pressed forth dry, large, and happy, into the sky, and therein calmly sought a supernatural form, which should descend and bear her up. She almost fancied she was dying then, and prayed thus: “Come, thou angel of rest, come and take my heart, and bear it to my beloved. Angel of rest! With mad disquiet, she looked about in the vacant sky. Suddenly, in that still desert, a star shone forth, and wound its way towards the earth. She spread her arms in transport, and thought the angel of rest was rushing towards her. Alas! the star passed away, but she did not. “Not yet? Do I not die yet, All-merciful One?” sighed poor Rosamond. Poor Rosamond ! How did pain roll itself together, give an angry serpent-spring at thy heart, and fix in it all its poisonous teeth. But a weeping spirit poured the opium of insensibility into thine heart, and the bursts of agony flowed away in a soft convulsion. Ay, why canst thou not, good soul? for the cold earth would have sucked out of all thy wounds the last venom with which the human heart is laid beneath its surface, just as the hand when buried in earth recovers from the sting of a bee. But I turn mine eye away from thy pain, and look up at the glimmering moon, where Eugenius opens his eyes among smiling children, and his own child, now with wings, falls upon his heart. How quiet is every thing in the dimly lit portico of the second world, a misty rain of light silvers o’er the bright fields of the first heaven, and beads of light instead of sparkling dew hang upon flowers and summits. The blue of heaven is darker over the lily plains, and all the melodies in the thinner air are but a dispersed echo. Only night-flowers exhale their scents and dazzle, waving around calmer glances. Here the waving plains rock as in a cradle the crushed souls, and the lofty billows of life fall gliding apart. Then the heart sleeps, the eye becomes dry, the wish becomes silent. Children flutter like the hum of bees around the heart which is sunk in earth, and is still palpitating; and the dream after death represents the earthly life, as a dream here represents childhood here — magically, soothingly, softly, and free from care. Eugenius looked from the moon towards the earth, which for a long moon-day — equal to two earth-weeks — floated like a thin white cloud across the blue sky; but he did not recognise his old mother-land. At last the sun set to the moon, and our earth rested, large, glimmering, and immoveable, on the pure horizon of Elysium; scattering, like a water-wheel upon a meadow, the flowing beams upon the waving Elysian garden. Then his heart began suddenly to float without any bounds. Breezes fluttered around him, as though they raised him flying, wafted him away as they swelled, and veiled him in floods. He sank through the red evening twilights as through roses, and through the night as through bowers, and through a damp atmosphere which filled his eye with drops. Then it seemed as though old dreams of childhood had returned. A complaint arose from the distance, which reopened all his closed wounds; the complaint, as it drew nearer, became Rosamond’s voice. At last she herself was before him, unrecognisable, alone, without solace, without a tear. And Rosamond dreamed upon the earth, and it was to her as though the sun took wings, and became an angel. This angel, she dreamed, drew down towards her the moon, which became a gentle face. Beneath this face, as it approached her, a heart at last formed itself. It was Eugenius, and his beloved arose to meet him. But as she exclaimed, with transport, “Now I am dead!” the two dreams, both hers and his, vanished, and the two were again severed. Eugenius waked above, the glimmering earth still stood in the sky, his heart was oppressed, and his eye beamed with a tear which had not fallen on the moon. Rosamond waked below, and a large warm dew-drop hung in one of the flowers of her bosom. Then did the last mist of her soul shower down in a light rain of tears, her soul became light and sun-clear, and her eye hung gently on the dawning sky. The earth was indeed strange to her, but no longer hateful; and her hands moved as though they were leading those who had died. The angel of rest looked upon the moon, and looked upon the earth, and he was softened by the sighs from both. On the morning-earth he perceived an eclipse of the sun, and a bereft one. He saw Rosamond during this transient night sink upon the flowers that slept in the darkness, and into the cold evening-dew which fell upon the morning-dew; and stretching forth her hands towards the shaded heaven, which was full of night-birds, look up towards the moon with inexpressible longing, as it floated trembling in the sun. The angel looked upon the moon, and near him wept the departed one, who saw the earth swimming deep below, a flood of shade, fitted into a ring of fire, and from whom the mourning form that dwelt upon it, took all the happiness of heaven. Then was the heavenly heart of the angel of peace broken. “Yonder thou seest the sphere of earth, whence thou comest, still in shade.” And the waves of joy closed on high over the blessed world, and all the happy and all children looked upon our sphere which still trembled in the shade. Yea, indeed, is it in shade! But man is higher than his place. He looks up and spreads the wings of his soul, and when the sixty minutes, which we call sixty years, have finished striking, he then, lifts himself up, and kindles himself as he rises, and the ashes of his plumage fall back, and the unveiled soul rises alone, free from earth, and pure as a musical tone. But here, in the midst of dark life, he sees the mountains of the future world standing in the morning gold of a sun that does not arise here. Thus, the inhabitant of the North Pole in the long night, when the sun has ceased to rise, discerns at twelve o’clock, a dawn gilding the highest mountains, and he thinks of his long summer, when it will set no more. J. O. In the beautiful, highly favoured land of Bavaria, at the foot of the wild, picturesque Fichtelgebirge, lies a little town named Wunsiedel. The scenery is grand and solemn, the tall trees are arrayed in dark foliage, and seldom does the bright warm hue of a flower meet our eyes. Caves with long, intricate passages, and deep, horrible precipices are concealed in those dark mountains, and the shy forest birds who dwell in those parts relate strange stories of buried treasure, and secret, dazzling fairly grottoes. It is late ere lovely spring crosses that lofty mountain ridge, and playfully scatters around the last remnants of his gifts, bright sunshine and sweet nosegays. Summer, with his glowing cheeks, hastens onwards as though he feared to lose his way amid the impenetrable fir and pine forests. But capricious autumn seems well pleased. His winds sport, unfettered and unrestrained, among the rocks and valleys, whirling the many-coloured leaves through the mazes of a fantastic dance, scornfully shaking from the trees the scanty fruits which summer has forgotten to colour; and industriously scattering upon the cottagers’ gardens the red, blue, yellow and white asters, which in his leisure hours he has carefully and artistically formed of half-faded summer flowers. These sports, however, are soon interrupted by cold winter, who erects his splendid ice palace, arrays the mountains in glittering white livery, making them to appear his servants, while he spreads a snowy veil over the trees, and a great, soft, dazzling carpet over the whole earth. He breathes upon the window-panes, creating strange soulless flowers. He scatters with an unsparing hand glittering diamonds, which sparkle and glare in the light of the sun or moon; until no human eye can longer endure to gaze upon them. His well-sharpened daggers, the icicles, gleam brightly, threatening with wounds and pain those who dare to scoff at the icy glory, might, and majesty of the proud sovereign, or long for the return of the mild, sweet spring. In the beginning of March, 1763, however, the despotic ruler lifted up his white coverings in unusual haste, tore the ice flowers from the window-panes, broke his threatening daggers, packed up the mantles of the trees, and left the valley before a single human being could awake from his surprise at so unheard-of an occurrence. And on the morning of the 21st, a heavenly, smiling face looked down upon the delivered land – the face of spring; a warm, pleasant breeze was felt, and gentle drops of rain fell upon the hitherto breathless, frozen earth, which now awoke trembling with delight, and once more ventured to breathe. Tender, bright green leaves appeared, called forth by magic irresistible power, the violets were awakened by the hot sun’s glowing kiss, and unclosed their eyes wondering that the dark night had passed so soon. Here and there a bird, rejoicing in his new life, raised his timid song, and strange murmurs arose from the mountains. The hearts of the wondering humans who heard and saw all these heavenly gifts, and felt a consoling promise; it seemed as if their wounds had been healed by a gentle loving touch, as if spring could never more depart from the quiet valley. A narrow, insignificant plot of garden lay before one of the smallest, poorest houses of the village. This garden could boast of but one beauty, an old rose-tree, whose head was nestled lovingly and confidingly against the low window of a gloomy room. Within that room he could often hear the merry games of a rosy-cheeked troop of children; but how often, too, did he listen to the sign of a care-worn father! How often did he watch the silent tears of an anxious mother! On the morning of the 21st March, the sweet reviving sunlight fell with tenderness upon this rose-bush, which had so seldom blossomed in the rough mountain air. A rosebud struggled forth so hastily that the green leaves had some difficulty in following; it swelled remarkably, soon tinged with red. Its perfume filled the air as a lovely half-opened rose timidly tapped against the window pane. What a scene of joy did it behold! Around the cradle of a newborn brother stood a group of delighted children, the father seemed so grateful and happy, and the pale mother folded her hands, smiling joyfully as she lay upon the bed. The child of earth was sleeping peacefully; the rough, confused sounds did not disturb his innocent soul. Yet now the infant eyes opened – had the child heard the rosebud’s gentle knock? The clear blue eyes turned towards the window; all eyes followed that beaming gaze. The happy children rushed noisily from the room; the wonder was revealed, the rose discovered. At night, the little room was filled with light and sweet music, the perfume of the rose breathed in through the open window. And a bright light, visible alone to the pure and unclouded infant eyes, kept watch around the cradle. A loving angel kissed the child’s forehead and sang. “To thee alone is open the wondrous, the eternal book of nature. Those glorious pages will contain no mysteries for thee. The souls of the tender flowers will be opened, and thy heart will understand their secret language. The mighty stars will speak to thee. The earth will open, revealing her undying flowers, the glittering diamonds, the beaming sapphires and emeralds! A sweet “farewell” was murmured by all as the golden sunlight poured into the poor little room, and the heavenly messengers hurried along the sunbeam path until they reached their glorious home. Who has guessed the glorious sun who stands ever on the horizon of our German hearts? Jean Paul hast pressed us all to his loving heart. We are comforted by his eyes, refreshed by his smile. Past, present, future, he has revealed unto us – the living world which glows within the heart of man and in the works of nature, the world buried beneath the earth. By visions of heavenly light and sound, he hast shown us the world to come. Excerpt, “Titan: A Romance” from the German of Jean Paul Friedrich Richter. Translated by Charles T. Brooks in two volumes, Vol. II. Boston: Ticknor and Fields, 1862. The conversation now flowed more smoothly. She spoke of his father, and expressed her gratitude as his ward. “That is a mighty nature of his, which guards itself against everything common,” said she, at once against the fashion of the quality, speaking even partially of persons. The son was made happy by this praise of a father; he enhanced it, and asked in pleased expectation how she took his coldness. Albano could not entirely say yes, but he recognized with satisfaction her respect for the strangest individuality of character the pupil of his father, who prized a plant, not according to the smoothness or roughness of its skin, but according to its bloom. Never does a man portray his own character more vividly than in his manner of portraying another’s. But Linda’s lofty candor on the subject, which is as often wanting in finely cultivated females as refinement and reserve are in powerful men, took the strangest hold of the youth; and he thought he should be sinning if he did not exercise his great natural frankness with her. She called her maidens to accompany her. Dian went off. “These are more necessary,” said she, “than they seem.” She had something of an ocular abnormality, being infinitely short-sighed in the night. He begged to be permitted to accompany her; and she agreed. “Do you believe that of war?” asked she. During these discoursings they came upon the ascent of Epomeo. As he now went along side this noble lady, and occasionally looked into her face, which was made still more beautiful by mental energy, and became at once flower, blossom and fruit (whereas generally the converse holds, and the head gains by the face). Silently, they went on in the rare night and region. All at once she stopped on an eminence, around which the dowry of Nature was heaped up on all sides in mountains. They looked round in the splendor; the Swan of Heaven, the moon, floated high over Vesuvius in the ether. The giant serpent of the world , the sea, lay fast asleep in his bed that stretches from pole to pole. The coasts and promontories glimmered only, like midnight dreams. Clefts full of tree blossoms overflowed with ethereal dew made of light, and in the vales below stood dark smoke-columns upon hot-fountains, and overhead they floated away in splendor. All around lay, high up, illuminated chapels, and low around the shore, dark cities. The winds stool still, the rose-perfumes and the myrtle-perfumes stole forth alone. Soft and bland floated the blue night around the ravished earth. From around the warm moon, the ether retired, and she sank down love-intoxicated out of mid-heaven larger and larger into the sweet earth-spring. Vesuvius now stood, without flame or thunder, white with sand or snow, in the east. In the darkening blue, the gold grains of the fiery stars were sowed far abroad. It was the rare time when life has its transit through a superterrestrial sun. Albano and Linda accompanied each other with holy eyes, and their looks softly disengaged themselves from each other again. They gazed into the world, and into the heart, and expressed nothing. Linda turned softly around and walked silently onward. “God grant one,” said Albano. “Oh why?” said Linda, eagerly, but in a low tone. Albano’s spirit here rose up from its princely seat to greet its lofty kinswoman, and said, “Immortal one! and though no one else was so!” She silently smiled and went on. His heart was an asbestos-leaf written over and cast into the fire, burning, not consuming; his whole former life went out, the leaf shone … fiery and pure. When they reached the final eminence below which the lady’s dwelling lay, and they stood near each other on the point of separation, then the maiden suddenly cried out below. “Earthquake!” Out of hell, a thunder-car rolled on in the subterranean ways. A broad lightning flapped its wings up and down in the pure heaven under the stars. The earth and the stars trembled, and afrighted eagles flew through the lofty night. Albano had grasped the hands of the tottering Linda. Her face had faded before the moon to a pale, godlike statue of marble. By this time, it was all over; only some stars of the earth still shot down out of the steadfast heavens into the sea, and wondrous clouds went up round about from below. “Am I very timid?” said she, faintly. Albano gazed into her face livingly and serenely as a sun-god in morning redness, and pressed her hands. She would have drawn them away violently. “Give them to me forever!” said he, earnestly. The maidens came up. Albano went down, his bosom filled with living warmth, with living radiance. Nature breathed with fresher perfumes out of the gardens. The sea murmured again below. And out on Vesuvius burned a Love’s-torch, a festal fire of joy. Through the night-skies, some eagles were still sailing towards the moon, as toward a sun. And against the arch of heaven the Jacob’s ladder stood leaning with golden rounds of stars. As Albano was walking along so solitary in his bliss, dissolved in the rapture of love, the fragrance of the vales, the radiance of the heights, dreaming, hovering. he saw birds of passage flying across the sea, in the direction of the Appennines, on their way to Germany; where Liana had lived. “Holy One above!” cried his heart, “thou desiredst this joy; appear and bless it!” Unexpectedly, he stood before a chapel niche wherein the Holy Virgin stood. The moon transfigured the pale statue. The Virgin took life beneath the radiance, and became more like Liana. Kneeling, ardent, he offered God his gratitude. To Leana, his tears. When he rose, turtle-doves were cooing in dreams, and a nightingale warbled; the hot fountain smoked, glimmering; and the happy singing of far-off people came up to his ears. With emotion, with a sort of festive solemnity, Albano trod the cool island. It was to him as if the breezes were always wafting to him the words, “The place of rest.” Agata begged them both to stay with her parents, not far from the Borgho d’Ischia. As they went over the bridge, which connects the green rock wound round with houses to the shore and the city, she pointed out to them joyfully in the east the individual house. As they walked along so slowly, and the high round rock and the row of houses stood mirrored in the water; and upon the flat roofs the beautiful women who were trimming the festal lamps for the evening spoke busily over to each other, and greeted and questioned the returning Agata. All faces were so glad, all forms so comely, and the poorest in silk. The lively boys pulled down little chestnut tops; and the old father of the isle, the tall Epomeo, stood before them all clad in vine-foliage and spring-flowers, out of whose sweet green only scattered white pleasure-houses of happy mountain-dwellers peeped forth. Then was it to Albano as if the heavy pack of life had fallen off from his shoulders into the water, and the erect bosom drank in from afar the cool ether flowing in from Elysium. Across the sea lay the former stormy world, with its hot coasts. Agata led the two into the home of her parents, on the Eastern declivity of Epomeo; and immediately, amidst the wild exulting welcome cried out, quite as loudly, “Here are two fine gentleman who wish to come home with me!” The father said directly, “Welcome, your excellencies!” Agata showed him the way to his cool chamber, and he went up. He dreamed himself at last down into a deep sleep. Late, in the dark, like an Adam in renovated youth, he opened his eyes in Paradise, but he knew not where he was. He heard distant sweet music; unknown flower scents swam through the air. He looked out; the dark heaven was strewed with golden stars, as with fiery blossoms; on the earth, on the sea hovered hosts of lights; and in the depths of distance hung a clear flame steadily in the midst of heaven. A dream, of which the scene was unknown, confounded still the actual stage with one that had vanished; and Albano went through the silent, unpeopled house, dreaming on, out into the open air, as into an island of spirits. Here, nightingales, first of all, with their melody drew him into the world. He found the name Ischia again, and saw now that the castle on the rock and the long street of roofs in the shore town full of burning lamps. He went up to the place whence the music proceeded, which was illuminated and surrounded with people, and found a chapel standing all in fires of joy. Before a Madonna and her child, in a niche, a night-music was playing, amidst the loquacious rustling of joy and devotion. Here, he found his hosts, who had all quite forgotten him in the jubilee; and Dian said, “I would have awakened you soon; the night and the pleasures last a great while yet. So see and hear yonder the divine Vesuvius, who joins in celebrating the festival in such right good earnest,” cried Dian, who plunged as deeply into the waves of joy as an Ischian. Albano looked over toward the flame, flickering high in the starry heaven, and, like a god, having the great thunder beneath it, and he saw how the night had made the promontory of Misenum loom up like a cloud beside the volcano. Beside them burned thousands of lamps on the royal palace of the neighboring island of Procida. While he looked out over the sea, whose coasts were sunk into the night, and which lay stretching away like another night, immeasurable and gloomy, he saw now and then a dissolving splendor sweep over it, which flowed on ever broader and brighter. A distant torch also showed itself in the air, whose flashing drew long, fiery furrows through the glimmering waves. There drew near a bark, with its sail taken in, because the wind blew offshore. Female forms appeared on board, among which, one of royal stature, along whose red silken dress the torch-glare streamed down, held her eyes fixed upon Vesuvius. As they sailed nearer, and the brighter sea blazed up on either side under the dashing oars, it seemed as if a goddess were coming, around whom the sea swims with enraptured flames, and who knows it not. All stepped out on shore at some distance, where by appointment, as it seemed, servants had been waiting to make everything easy. A smaller person, provided with a double opera glass, took a short farewell of the tall one, and went away with a considerable retinue. The red-dressed one drew a white veil over her face and went, accompanied by two virgins, gravely and like a princess, to the spot where Albano and the music were. Albano stood near her; two great black eyes, filled with fire and resting upon life with inward earnestness, streamed through the veil, which portrayed the proud, straight forehead and nose. In the whole appearance, there was to him something familiar and yet great; she stood before him as a Fairy Queen, who had long ago with a heavenly countenance bent down over his cradle and looked in with smiles and blessings, and whom the spirit now recognizes again with its old love. He thought perhaps of a name, which spirits had named to him, but that presence seemed here impossible. She fixed her eye complaisantly on the play of two virgins, who, neatly clad in silk, with gold-edged silken aprons, danced gracefully, with modestly drooping eyelids to the tambourine of a third; the two other virgins,which the stranger had brought with her, and Agata, sang sweetly in Italian half-voice to the graceful joy. “It is all done in fact,” said an old man to the strange lady, “to the honor of the Holy Virgin and St. Nicholas.” She nodded slowly a serious yes. At this moment there stood, all at once, Luna, played about with the sacrificial fire of Vesuvius, over in the sky, as the proud goddess of the sun-god; not pale, but fiery, as it were, a thunder-goddess over the thunder of the mountain. And Albano cried, involuntarily, “God! the great moon!” The stranger quickly threw back her veil, and looked around significantly after the voice as after a familiar one; when she had looked upon the strange youth for a long time, she turned toward the moon over Vesuvius. But Albano was agitated by a god, and dazzled by a wonder; he saw here Linda de Romeiro. When she raised the veil, beauty and brightness streamed out of a rising son; delicate, maidenly colors; lovely lines and sweet fullness of youth played like a flower garden about the brow of a goddess, with some blossoms around the holy seriousness and mighty will on brow and lip, and around the dark glow of the large eye. How had the pictures lied about her … how feebly had they expressed this spirit and this life! As if the hour would fain worthily invest the shining apparition, so beautifully did heaven and earth with all rays of life play into each other. Love-thirsty stars flew like heaven-butterflies into the sea. The moon had soared away over the impetuous earth-flame of Vesuvius, and spread her tender light over the happy world, the sea and the shores. Epomeo hovered with his silvered woods, and with the hermitage of his summit high in the night blue. Near by stirred the life of the singing, dancing ones. with their prayers and their festal rockets which they were sending aloft. At once attracted and distracted, not knowing him, although previously struck with the resemblance of his voice to Roquairol, yet gladly reflecting on his simple words, she looked longer than she was aware at the ingenuous, but daring and warm eye of the youth. Turning slowly away, she made no reply, and again looked silently at the sports. A Night of unrivaled serenity! The stars alone of themselves illuminated the earth, and the milky way was silvery. A single avenue, entwined with vine-blossoms, led to the magnificent city. Everywhere one heard people, now near, talking; now distant, singing. Out of dark chestnut woods, on moonlit hills, the nightingales called to one another. A poor, sleeping maiden, whom we had taken with us, heard the melodies even down into her dream, and sang after them; and then, when she awoke herself therewith, looked round confusedly and with a sweet smile, with the whole melody and dream still in her breast. On a slender, light two-wheeled carriage, a wagoner, standing on the pole and singing, rolled merrily by. Women were already bearing in the cool of the hour great baskets full of flowers into the city; in the distance, as we passed along, whole Paradises of flower-cups sent their fragrance; and the heart and the bosom drank in all at once the love-draught of the sweet air. The moon had gone up bright as a sun in the high heaven, and the horizon was gilded with stars; and in the whole cloudless sky stood the dusky cloud-column of Vesuvius, alone, in the east. Far into the night, about two o’clock, we rolled in and through the long city of splendor, wherein the living day bloomed on. Gay people filled the streets; the balconies sent each other songs; on the roofs bloomed flowers and trees between lamps, and the little bells of the hours prolonged the day; and the moon seemed to give warmth. Only now and then a man lay sleeping between the colonnades, as if he were taking his siesta. Dian, at home in all such matters, let the carriage stop on the southern side, toward the sea, and went far into the city, in order to arrange through old acquaintance, the passage across to the island, so that we might have exactly at sundown out on the sea, the richest view of the stately city, with its bay and its long coasts. The Ischian girl wrapped herself up in her blue veil and fell asleep on the black sandy shore. I walked up and down alone; for me there was no Night and no house. The sea slept; the earth seemed awake. In the fleeting glimmer (the moon was already sinking towards Posilippo) I looked up over this divine frontier city of the world of waters, over this rising mountain of palaces, to where the lofty Castle of St. Elmo looks, white, out of green foliage. With two arms, the earth embraced the lovely sea; on her right, on Posilippo, she bore blooming vine-hills far out into the waves, and on the left she held cities, and spanned round its waters and its ships, and drew them up to her breast. Like a sphinx lay the jagged Capri darkly on the horizon in the water, and guarded the gates of the bay. Behind the city the volcano smoked in the ether, and occasionally sparks played between the stars. Now the moon sank down behind the elms of Posilippo, – the city grew dark – the din of the night died away – fishermen disembarked, put out their torches, and laid themselves down on the bank. The earth seemed to sleep, but the sea to wake up. A wind from the coast of Sorrento ruffled the still waves; more brightly gleamed Sorrento’s sickle with the reflection at once of the moon and the morning, like silver meadows; the smoke column of Vesuvius had blown away, and from the fire-mount streamed a long clear morning redness over the coasts as over a strange world. O, it was the morning twilight, full of youthful omens! Do not landscape, mountains, coasts, like an echo, speak so many the more syllables to the soul the farther off they are? How young did I feel the world and myself, and the whole morning of my life was crowded into this! My friend came; all was arranged; the boatsmen had arrived; Agata was awakened to the joy, and we embarked, just as the dawn kindled the mountains, and, her sails swelling with the morning breezes, our little vessel flew out into the sea. Before we had yet doubled the promontory of Posilippo, the crater of Vesuvius threw up its glowing child, the sun, slowly into the sky, and sea and earth blazed. The half earth-girdles of Naples, with morning-red palaces, its market-place of fluttering ships, the swarm of its country-houses on the mountains and up along the shore, and its green throne of St. Elmo, stood proudly between two mountains, before the sea. When we came round Posilippo, there stood Ischia’s Epomeo, like a giant of the sea, in the distance, girdled about with a wood, and with bald white head. Gradually appeared on the immeasurable plain the islands, one after another, the scattered villages, and widely pressed and waded the promontories into the sea. Now, mightier and more alive than the dried up, parcelled out, stiff land, the watery kingdom opened, whose powers all, from the streams and waves even to the drops, join hands and move in concert. Almighty, and yet gentle element! grimly thou leapest upon the lands, and swallowed them up, and, with thy undermining polypus-arms, liest stretching around the whole globe. But then thou reinest the wild streams, and meltest them down into waves; only thou playest with thy little children, the islands, and playest on the hand which hangs out of the light gondolas, and sendest out thy little waves which play before us, then bear us along, and play behind us. Out of the midst of nature’s sea of joys their laurels grow and bear as well as out of the ice-sea of Germany and England, or out of Arabia’s sand. Alike in wildernesses and in paradises, their mighty hearts beat on. And for these world-souls there was no dwelling except the world; only with such souls are emotions worth almost more than actions. A Roman might weep here nobly for joy! What can a modern man do for it, that he lives so late after their ruins? Youth and ruins, tottering, crumbling past and eternal fullness of life, covered the shore of Misenum and the whole far-reaching coast. On the broken urns of dear gods, on the dismembered temples of Mercury and Diana, the frolicsome light wave played, and the eternal sun; old, lonely bridge-posts in the sea , solitary temple columns and arches, spoke, in the luxuriant splendor of life, a sober word; the old, holy names of the Elysian Fields, of Avernus, of the Dead Sea, lived still along the coast; ruins of rocks and temples lay in confusion beyond the motley-colored lava; all bloomed and lived; the maidens and the boatmen sang; the mountains and the islands stood great in the young fiery day; dolphins chased sportively along beside us; singing larks went whirling up in the ether above their narrow islands; and from all the ends of the horizon ships came up and flew down again with arrowy speed. It was the divine overfullness and intermingling of the world before me. Sounding strings of life were stretched over the string-bridge of Vesuvius, even to Epomeo. Suddenly one peal of thunder passed along through the blue heaven over the sea. The maiden asked me, “Why do you grow pale? It is only Vesuvius.” Then was a god near me; yes, Heaven, Earth and Sea stood before me as three divinities. The leaves of life’s Dream-Book were ruffled up by a divine morning-storm; and everywhere I read our dreams. After some time, we came to a long land swallowing up the north, as it were the foot of a single mountain; it was already the lovely Ischia, and I went on shore intoxicated with bliss, and then, for the first time, I thought of the promise that I should find there a sister. Excerpt: “Critical and Miscellaneous Essays: “Jean Paul Friedrich Richter” by Thomas Carlyle, 1827. And a loved one … reposing. Except by name, Jean Paul Friedrich Richter is little known outside of Germany. The only thing connected with him, we think, that has reached this country, is his saying, imported by Madame de Staël, and, thankfully pocketed by most newspaper critics: “Providence has given to the French the empire of the land, to the English that of the sea, to the Germans that of — the air.” Of this last element, indeed, his own genius might easily seem to have been a denizen; so fantastic, many-colored. far-grasping, every way perplexed and extraordinary to his mode of writing. To translate him properly is next to impossible; nay, a dictionary of his works has actually been in part published for the use of German readers! These things have restricted his sphere of action, and may long restrict it, to his own country; but there, in return, he is a favorite of the first class; studied through all his intricacies with trustful admiration, and a love which tolerates much. During the last forty years, he has been continually before the public, in various capacities, and growing generally in esteem with all ranks of critics; till, at length his gainsayers have either been silenced or convinced; and Jean Paul, at first reckoned half-mad, has long ago vindicated his singularities to nearly universal satisfaction, and now combines popularity with depth of endowment, in perhaps a greater degree than any other writer; being second in the latter point to scarcely more than one of his contemporaries, and in the former second to none. The biography of such a distinguished person could scarcely fail to be interesting, especially his autobiography; which, accordingly we wait for, and may in time submit to our readers, if it seems worthy. Meanwhile, the history of his life, so far as outward events characterize it, may be stated in a few words. 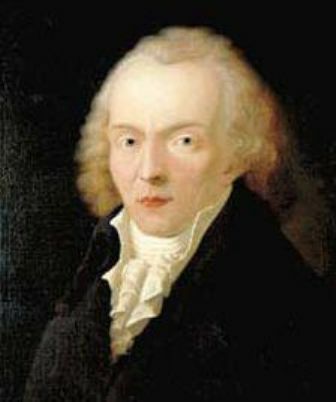 He was born in Wunsiedel in Bayreuth in March 1763. His father was a subaltern teacher in the Gymnasium of the place, and was afterwards promoted to clergyman at Schwarzbach on the Saale. Richter’s early education was of the scantiest sort; but his fine faculties and unwearied diligence supplied every defect. Unable to purchase books, he borrowed what he could come at, and transcribed from them, often a great part of their contents – a habit of excerpting which continued with him throughout life, and influenced, in more ways than one, his mode of writing and study. 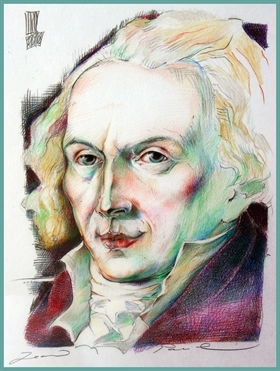 To the last, he was an insatiable and universal reader, so that his excerpts accumulated and “filled whole chests.” In 1780, he went to the University of Leipsic; with the highest character, in spite of the impediments which he had struggled with, for talents and acquirement. Like his father, he was destined for Theology; from which, however, his vagrant genius soon diverged into Poetry and Philosophy, to the neglect, and, ere long, to the final abandonment of his appointed profession. Not well knowing what to do, he accepted a tutorship in some family of rank; then he had pupils in his own house — which, however, like his way of life, he often changed; for by this time he had become an author, and, in his wanderings over Germany, was putting forth, now here, now there, the strangest books, with the strangest titles. For instance, “Greenland Lawsuits” – “Biographical Recreations under the Cranium of a Giantess” – “Selections from the Papers of a Devil” – and the like! In these describable performances, the splendid faculties of the writer, luxuriating as they seem in utter riot, could not be disputed; nor, with all its extravagance, the fundamental strength, honesty and tenderness of his nature. Genius will reconcile men to much. By degrees, Jean Paul began to be considered not a strange cracked-brained mixture of enthusiast and buffoon, but a man of infinite humor, sensibility, force and penetration. His writings procured him friends and fame; and at length a wife and a settled provision. With Caroline Mayer, his good spouse, and a pension in 1802 from the King of Bavaria, he settled in Bayreuth, the capitol of his native province; where he lived therefore, diligent and celebrated in many new departments of Literature; and died on the 14th of November, 1825, loved as well as admired by all his countrymen, and most of those who had known him most intimately. A huge, irregular man, both in body and in person, full of fire, strength and impetuosity, Richter seems, at the same time, to have been, in the highest degree, mild, simple-hearted, humane. He was fond of conversation, and might well shine in it. He talked as he wrote, in a style of his own, full of wild strength and charms, to which his Bayreuth accent often gave additional effect. Yet he loved retirement, the country and all natural things; from his youth upwards, he himself tells us, he may almost be said to have lived in the open air; it was among groves and meadows that he studied — often that he wrote. Even in the streets of Bayreuth, he was seldom seen without a flower on his breast. Richter came later to live in finer mansions, and had the great and learned for associates; but the gentle feelings of those days abode with him: Through life, he was the same substantial, determinate yet meek and tolerating man. It is seldom that so much rugged energy can be so blandly attempted; that so much vehemence and so much softness would go together. The expected Edition of Richter’s Works is to be sixty volumes; and they are no less multifarious than extensive; embracing subjects of all sorts, from the highest problems of Transcendental Philosophy, and the most passionate poetical delineations, to Golden-Rules for the Weather Prophet, and instructions in the Art of Falling Asleep. His chief productions are Novels: the Unsichtbare Loge (Invisible Lodge); Flegeljahre (Wild-Oats); Life of Fixlein; the Jubelsenior (Parson in Jubilee); Schmelzle’s Journey to Flatz; Katzenberg’s Journey to the Bath; Life of Fibel; and many lighter pieces; and two works of a higher order: Hesperus and Titan, the largest and best of his Novels. It was the former that first (in 1795) introduced him into decisive and universal estimation with his countrymen; the latter he himself, with the most judicious of his critics, regarded as his masterpiece. But the name Novelist, as we in England must understand it, would ill describe so vast and discursive a genius; for, with all his grotesque, tumultuous pleasantry, Richter is a man of a truly earnest, nay high and solemn character, and seldom writes without a meaning beyond the sphere of common romancers. Hesperus and Titan themselves, though in form nothing more than “novels of real life,” as the Minerva Press would say, have solid metal enough in them to furnish whole circulating libraries, were it beaten into the usual filigree; and much which, attenuate it as we might, no quarterly subscriber could well carry with him. Amusement is often, in part almost always, a mean with Richter; rarely or never his highest end. His thoughts, his feelings, the creations of his spirit, walk before us embodied under wondrous shapes, in motley and ever-fluctuating groups. But his essential character, however he disguise it, is that of a Philosopher and a moral Poet, whose study has been human nature, whose delight and best endeavor are with all that are beautiful, and tender, and mysteriously sublime … in the fate or history of man. This is the purport of his writings, whether their form be that of fiction or of truth; the spirit that pervades and ennobles his delineations of common life, his wild wayward dreams, allegories and shadowy imaginings, no less than his disquisitions of a nature directly scientific. Excerpt from “The Dream of the Lilybell, Tales and Poems; with translations of “Hymns to the Night” from the German of Novalis, and Jean Paul’s “Death of an Angel,”‘ by Henry Morley. 1845. As the Angel of the last hour, whom we so cruelly call Death, is sent to us the softest, kindest of the angels, that mildly and gently he may pluck from life the sinking heart of man, and bear it in warm hands, unhurt, from the cold breast to the high summery Eden. His brother is the Angel of the first hour, who twice kisses man, for the first time that his life here may be commenced, the second time that he may wake above without a wound; and enter smiling into the other world, as into this with tears. Full of emotion and love, the Angel sank down upon a battlefield where but one fair, fiery youth lay yet convulsed, and raised his shattered breast; the hero thought only of his betrothed, her hot tears that he could no longer feel, and her grief passed dimly over him as a distant battle cry. Oh, then, quickly the Angel covered him, and rested in the form of the loved one on his breast, and with a hot kiss drew the wounded soul out of his broken heart; and he gave the soul to his brother, and his brother kissed it in heaven the second time, and then it smiled already. The Angel of the last hour entered as lightning into the deserted form, glowed through the corpse, and with the strengthened heart once more drove round the heated streams of life. But how was he affected by this new embodiment! His eye of light was dipped in the whirlpool of the new nervous spirit; his thoughts, once flying. waded wearily now through the misty circle of the brain. On all he saw the soft, moist halo of colors that hithereto had hung over every object with the autumn’s shades, was now dried up, and through the hot air things pierced him with their burning, paining color spots, every feeling became darker but nearer to himself, and seemed to him Instinct, as to us do those of brutes; hunger tore him, thirst burned him, pain cut him deeply. Oh, his distracted breast arose bleeding, and his first breath was his first sigh for the deserted heaven. “Is this the death of man?” he thought; but as he saw not the promised sign of death, no angel, and no glory-beaming heaven; he knew full well this was but man’s life. The bride of the ascended hero observed not that in the breast of her beloved one only an angel dwelt; she still loved the erected temple of the departed soul, and still held joyfully the hand of him who was carried so far from her. But the Angel returned the love of her deluded heart with human love; jealous of her own proper form he wished not to die earlier than she, that he might love her all her lifetime, until one day in heaven she should forgive him the sin – that she had embraced upon the same breast an angel and a lover. But she died first – the early grief had bowed the flower’s head too low, and it remained on the grave. Oh, she sank before the weeping Angel, not as the sun that casts itself before admiring nature with magnificence into the sea, that its red waves may leap to heaven, but as the silent moon, that at midnight silvers a thin halo, and with that pale hero sinks unseen. Death sent before him his yet milder sister, Swoon; he touched the heart of the bride, and the warm face was frozen — the flowers on her cheeks closed up — the pale snow of winter , beneath which greens the spring of eternity, covered her brow, her hands. Then burst the swelling eye of the Angel into a burning tear; and as he thought the heart freed itself with such a tear as with a pearl the sickly mussel; the bride moved her eyes, awakened to her last delusion, and drew him to her heart, and died as she kissed him. “Now am I with thee, my brother.” Then the Angel thought that his brother in heaven had given him the sign of the kiss of death; yet no beaming heaven was around, but the darkness of sorrow; and he sighed that that was not his death but only pangs of man for his companion. The body of the ascended hero exposed the mild angel to the cruelties of men; to his injustice, to the gnawings of sin and sorrow; along his form also was laid the stinging girdles of united septres, that presses land in agony, and which the great of the earth draw ever yet more closely; he saw the claws of crowned heraldic beasts fixed in the featherless prey, and heard the victims flap their powerless wings; he saw the whole globe surrounded by interlacing, and black glittering rings of the giant serpent vice, that buries and hides within man’s breast its poisoned head. Ah! then must his soft heart that an eternity long had rested only on the warm angels full of love, be pierced by the hot sting of enmity, and the holy soul of love must tremble at a deep disunion. “Ah,” said he, “the death of man gives pain.” But this it was not, for no Angel had appeared. Now he became in few days weary of a life that we endure for half a century, and longed for his return. The evening sun attracted his kindred soul. The splinters in his shattered breast wearied him with pain. He went, with the glow of evening on his pale cheeks, into the churchyard, the green garden of life, where the coverings of the fair souls he had unclothed were gathered together. With painful longing he stood upon the bare grave of the inexpressibly beloved departed bride, and looked upon the fading sun. Upon this loved hillock he looked down upon his aching body, and thought here also would’st thou rest, thou failing breast, here thou would’st smart no more, held I thee not erect. Then softly he thought over the heavy life of man, and the pain of his wound pointed out to him the pangs with which men buy their honor and their death, and which gladly he had spared the noble hero’s soul. Deeply was he moved by the excellence of man, and he wept for endless love towards men who, amid the crying of their own necessities, amid descended clouds and long mists upon the cutting path of life, turn not their eyes from the high star of duty, but spread out in the darkness their loving arms for each tortured bosom that may meet them, around whom glimmers naught but hope, to set in the old world, as the sun to rise upon the new. Emotion opened then his wound, and the blood, the soul’s tears, flowed from his heart upon the beloved mound; the perishing body sank sweetly bleeding to death after the loved one; tears of joy broke up the falling sun into a rosy waving sea; distant echoes played through the liquid splendour as though earth fled away at a distance through the sounding ether. Then shot a dark cloud, or a little night, before the Angel, and was full of sleep, and now a heaven of glories was opened and shone over him, and a thousand angels flamed. “Art thou here once more, thou sportive Dream!” he said. But the Angel of the first hour came to him through the glory, and gave him the sign of the kiss, and said “That was Death, thou eternal brother, and heavenly friend.” And the youth and his beloved whispered it gently after him.